More convincing result a team cannot sail a regatta if after 12 races (two discards) only 1st places stand in the results at the end. 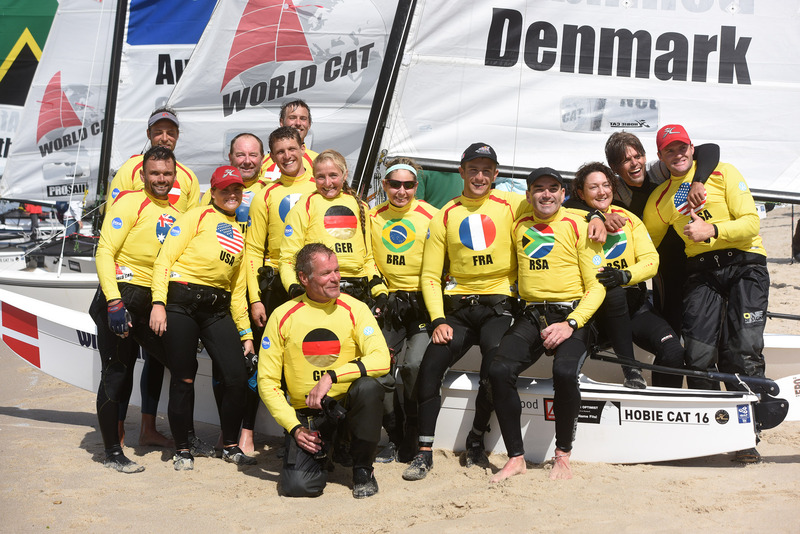 Yesterday the 5th Hobie 16 World Cat on the North Sea island Sylt went to an end. The current world champion Daniel Bjørnholt controlled the surf on Sylt with his brother Nicolaj like no second team. Besides, one could not really go out from it. 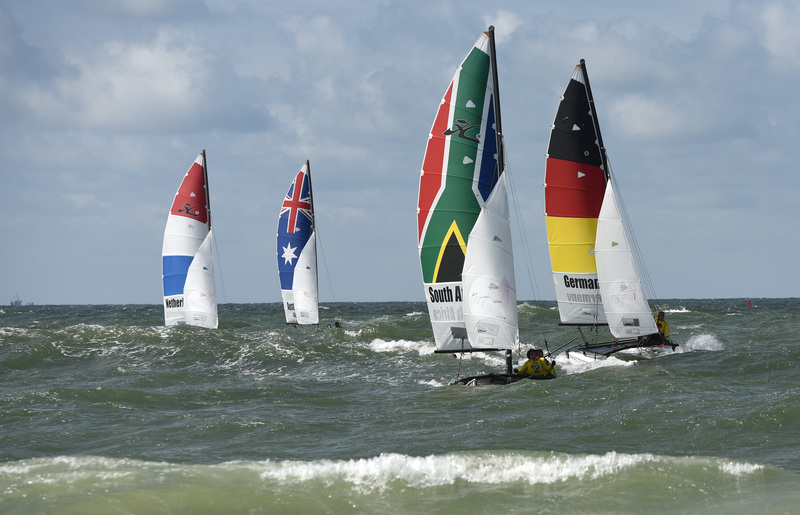 A sportily high-carat occupied field, with world and continental champions from 8 nations went since Wednesday to the start. However, everything was different this year. “I have never experienced that we had such strong winds in summer on Sylt,” Willy Trautmann, organizer and a Sylt primary rock. In spite of all attempts of the race management to start races on the 1st day these had to be canceled in the afternoon. The security for the sailors and their material could not be guaranteed by the DLRG. 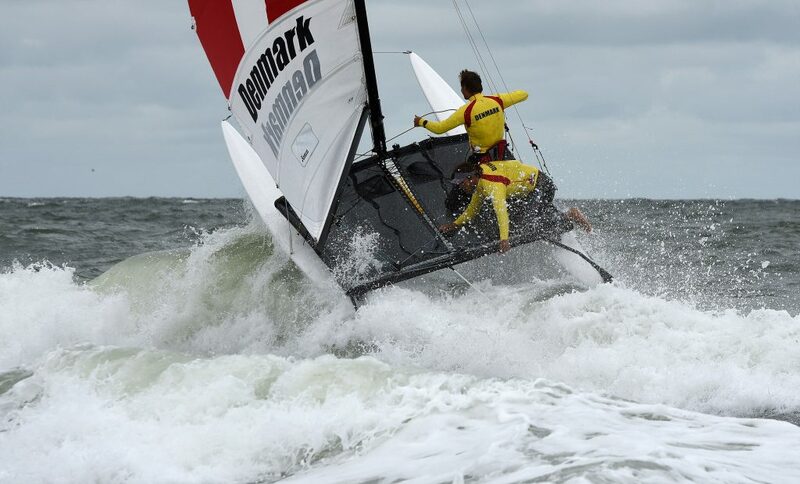 Wind up to 30 knots and a wave of 3 metres simply was too much, even for the best of the best. 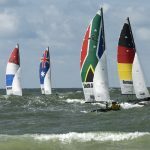 “According to the class-regulation of the Hobie 16 there will be no races at winds up to 25 knots,” Jens Hannemann, press agent of the Prosail Sail events. 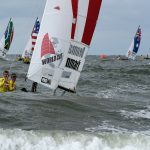 “Our sailors wanted to sail and show some action on the water to the visitors, but we could do nothing other than cancel the races and hope for the next day. 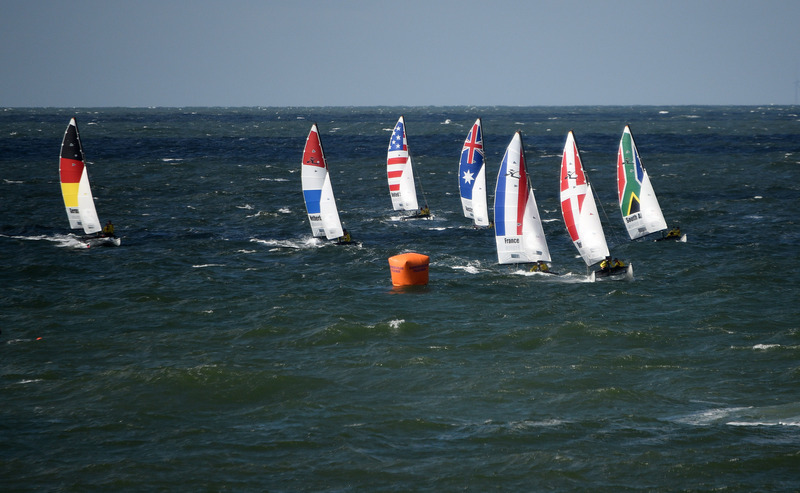 “The weather on Thursday was marginal, but sailable. 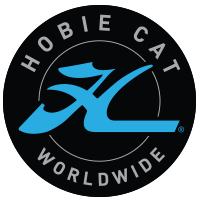 Again onshore winds about 25 knots, a surf in which nobody would go swimming voluntarily, but the Hobie 16 sailors sailed 6 races. The last race of the day was actually not planned, but the participants saw many visitors and wanted to sail one more race. 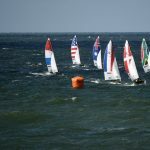 All sailors were rewarded with applause and a lot of cheering, because every second finish was directly on the beach with a small sprint to a Buzzer. 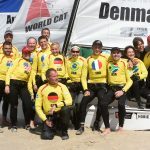 Applause, cheering, autograph and photo wishes – this is a completely new experience for the sailors. Carried by the euphoria of a great day the organizers planned on Friday a world premiere. A speed race parallel to the beach, in close vicinity to the visitors. A 380-m-long distance had to be sailed in the surf in front of Westerland as fast as possible. Every team had several attempts in a time window. Also the price of the fastest boat went to the Danish brothers with a perfect run. Both brothers finished the whole distance standing in the double trapezoid and needed just 38,6 seconds, converted 19,14 knots. After that they said self-confidently, there goes even more, we not even had the Traveller quite close. 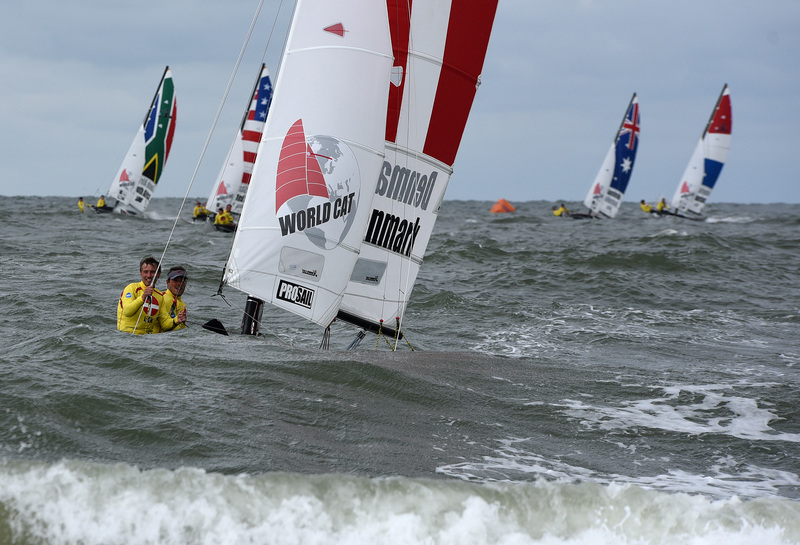 On Saturday all sailors had to pause, the wind increased again and no races were possibly. On Sunday it finally was there, the imperial weather. Wind from west, onshore, sunshine and again 20 knots. The beach completely full with visitors which already came in the early morning on the promenade to miss nothing. 4 further perfect races. The brothers Florian and Nicolas Hublet from France outdated the Germans Ingo Delius and Sabine Delius-Wenig with a day victory in the last race.